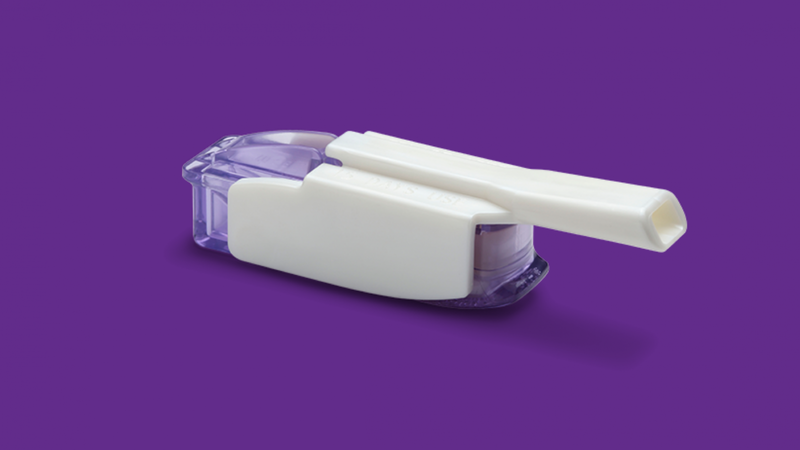 Diabetes educator and clinical researcher Mark Harmel recently spoke with diaTribe and shared his thoughts on Afrezza – MannKind’s inhaled, ultra-rapid-acting mealtime insulin for people with type 1 or type 2 diabetes. How is Afrezza different from injectable insulins? Compared to injected mealtime insulin, Afrezza has a very fast onset (the time it takes for insulin to start working) and fast offset (the time it takes for insulin to finish working). Its blood-glucose-lowering action peaks just 12 minutes after inhaling, compared to over 30 minutes for typical rapid-acting mealtime insulins like Humalog and Novolog. Afrezza’s blood-glucose-lowering action stops after 1.5-2 hours, while injectables can take upwards of four hours. Mr. Harmel was a study coordinator for the STAT trial, which compared Afrezza to Novolog in people with type 1 diabetes. Compared to the participants on Novolog, Afrezza users experienced impressive benefits! Time-in-range was nearly 63% with Afrezza and just under 54% with Novolog. This translated to approximately two more hours per day of time-in-range (70-180 mg/dl) - wow! Afrezza users experienced lower post-meal blood sugar spikes at one and two hours after meals. At one hour, Afrezza users had a blood sugar that was 38 mg/dl lower than Novolog users. At two hours, Afrezza users were still 18 mg/dl lower. Four times less time spent at under 50 mg/dl each day: three minutes with Afrezza vs. 12 minutes with Novolog. There are other benefits to Afrezza’s faster-acting profile: (i) you can take it at the same time you start eating, rather than injecting 15-20 minutes before; and (ii) since it clears out of your bloodstream quicker than other insulin, the risk of low blood sugar (hypoglycemia) late after meals is much lower. Who should and shouldn’t use Afrezza? As Mr. Harmel sees it, nearly all adults with type 1 diabetes could benefit from Afrezza’s very fast-acting profile, either as a replacement for mealtime insulins or use as a correction dose when needed. For example, Afrezza may be a great option to correct nighttime highs with less fear of hypoglycemia due to the faster offset. For those with type 2 diabetes, Afrezza could be a great add-on to basal insulin, especially for those who do not want any more injections. People who eat low-carb or have low insulin doses may have difficulty with Afrezza, as the lowest dose increment – currently four units – may be too much. 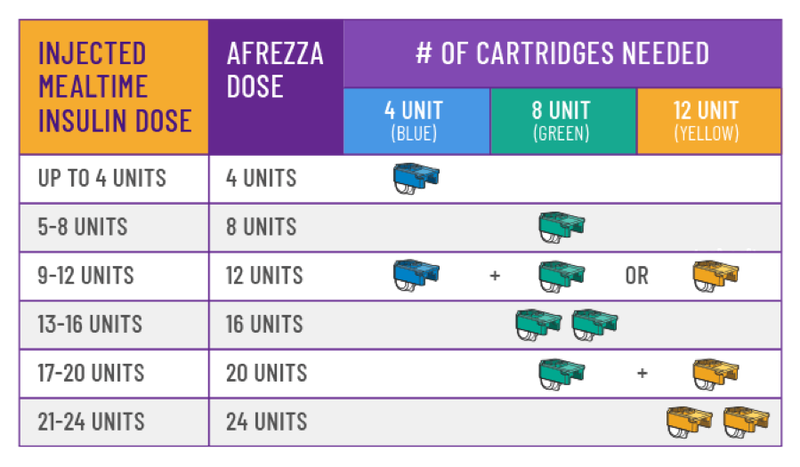 It is important to know that each unit of injected insulin is equal to 1.5 units of Afrezza. 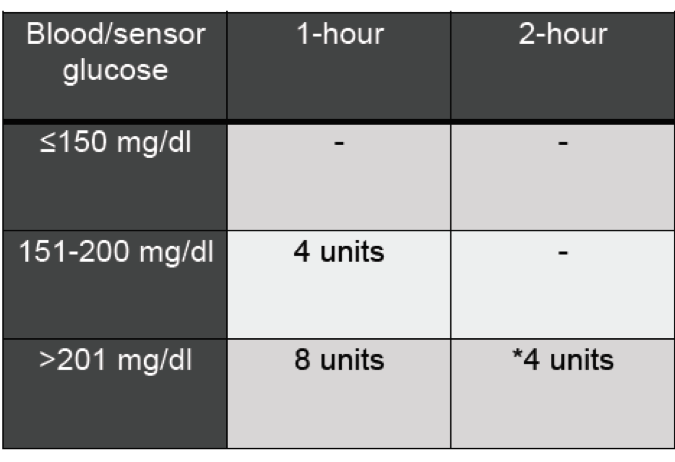 That means that the smallest dose of Afrezza is equal to just over 2.5 units of injected insulin, which may be difficult for people on lower doses of insulin (see chart below). Mr. Harmel has used DIY videos that teach people how cut the four-unit dose to two units, though this not FDA approved or recommended by the company. Mr. Harmel added that those who smoke, have asthma, or have other chronic lung issues should not use Afrezza. Before a healthcare provider prescribes Afrezza, people have to pass a simple in-office breathing test. For both type 1 and type 2, Afrezza can be used as a replacement for mealtime injections or as an add-on for “touch-up” doses. One of the most important findings from the STAT study was that the extra two hours of time-in-range was found exclusively in those who took “touch-up doses” – a second or third inhalation at one and two hours after meals if blood sugar levels were still high. This can be thought of as a “course correction.” Because Afrezza is so fast-acting, it brings a lower risk of insulin “stacking” – taking multiple doses of rapid-acting insulin in quick succession leading to hypoglycemia later. Mr. Harmel trains users on the touch-up dose. One hour after eating, if blood glucose is between 150 mg/dl and 200 mg/dl, a four-unit touch up is recommended; if it is above 200 mg/dl, then eight units are recommended. If blood glucose is still above 200 mg/dl after two hours, then another four units can be taken. See below for the touch-up dose protocol used in the STAT trial. Mr. Harmel advises using Afrezza with a continuous glucose monitor (CGM), as it helps users realize how quickly the insulin is working and gauge correction doses. When switching to Afrezza, he recommends that people still have fast-acting glucose available, since it takes time to learn how and when to use the insulin. Prescribing healthcare providers sometimes have free samples of Afrezza they can give out to those with a prescription; you can find your closest prescribing physician on the Afrezza website. MannKind also has a new co-pay card that can be requested through the product website and can reduce out-of-pocket cost significantly. This offer is available for adults with private insurance (excludes Medicare and Medicaid plans).